KC Strings is a local conservatory of music where students of all ages learn to play stringed instruments; such as the violin, bass and cello. 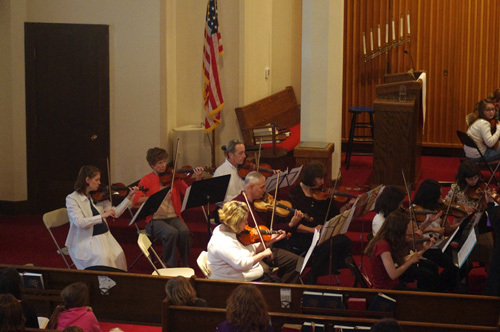 MCC is excited to partner with KC Strings by offering practice and recital space whenever it is needed. Come check out this home grown classical music extravaganza!